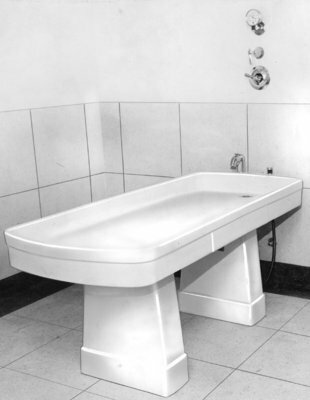 A black and white photograph of a bathroom slab at Fairview Lodge. Bathroom Slab at Fairview Lodge, 1951, Hall, Brooks Limited. Whitby Archives 07-006-016.